Lead Not Follow, a brand doing exactly that. 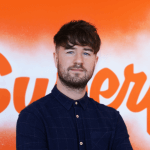 Superfly Marketing were approached earlier this year by a young entrepreneur to design a dynamic and modern E-Commerce website to sell the latest and freshest designer T-Shirts. We think this a brilliant example of hard work and determination to achieve desired goals. This new young company from Hull have used Social Media to its full effect and reaped the benefits. Lead Not Follow’s target market is young men aged 16-35 in the UK. So what better place to start then to create a buzz by approaching and interacting with premier league and championship football stars. To name a few: Ross McCormack, Ian Harte, Adam LeFondre, and Sonny Bradley, from our very own Hull City, have all tweeted and helped spread the word of the new Leadnotfollow.net website! Not to mention X-Factor finalists including Christopher Maloney and Marcus Collins. Superfly Marketing have helped the company find their feet, with logo design, E-Commerce website design, flyer design and E-Newsletter systems. You can now visit leadnotfollow.net to find out more information about the shop and the products available.